The Ellerslie Residents’ Association (ERA) has consulted widely and in response to community input is involved in a number of projects on behalf of our people living in Ellerslie. The ERA is canvassing opinions and participation of Ellerslie residents in local Clubs & Societies in our latest survey. Please Click here to do the short survey. Thank you. Last year a community survey indicated that 22% of Ellerslie Residents wanted a Community Library in the Ellerslie Town Centre. The result of this survey were submitted to the Orakei Local Board. The OLB was asked to ensure that Auckland Council’s library funding group prioritise the provision of a library in Ellerslie when funds become available. Ellerslie Zoning – Click here to see the draft zoning plan for Ellerslie in May 2013 and the revised plan in September 2013. The ERA held public meetings in 2013 and 2014 to discuss the impact of the Auckland Plan and Unitary Plan on Ellerslie. 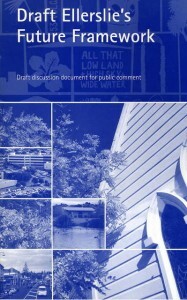 On the 30th September 2013 the Auckland Council published the draft Unitary Plan and residents had until the 28th February 2014 to make formal submission on the draft. In May 2013 the ERA made submissions to the Auckland Council on errors and changes it deemed necessary to the proposed Unitary Plan. The ERA Committee was pleased that the majority of its submissions were carefully considered and included in the draft Unitary Plan. The ERA made its final submission on the 28th of February 2014. The submission contained a number of changes to the proposed terraced housing and apartment zones and recommended that the area between Cawley street and Wilkinson Road should be zoned for an apartment building between 3 storeys and 12 storeys high. The ERA Committee has carefully scrutinised the Unitary Plan and Rules to ensure that all residents submissions were included in the Final submission based on a clear democratic majority of supporters for each change. 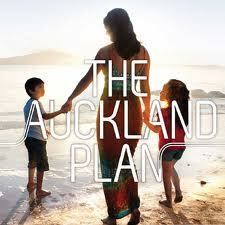 Auckland Council’s draft Unitary Plan for Ellerslie published on 30th September, 2013. The ERA Committee has submitted on the draft plan and consultation ended on 5 November 2012. The upgrade of the Ellerslie Train Station allowed for the addition of an additional northbound lane to the motorway. The ERA is planning to meet with the NZTA in order to find out what the implications are for those living in Ellerslie. The ERA is maintaining close contact with the ARC Board which has indicated that they are to maintain a much closer liaison with the Ellerslie community than they have in the past. Discussions are ongoing. The ERA has been negotiating with Vector on behalf of residents in the area in order to prevent this substation being installed in a residential area. The ERA Committee is in ongoing discussions with the Orakei Local Board on improving greenspace facilities and access to more satisfactory sportsfields in the Ellerslie area. The following links provide background information. The ERA Committee is assembling a database of issues affecting Ellerslie residents such as parking, footpaths, pedestrian crossings, dangerous intersections and cycleways.